President Trump, in an interview with CBS News’ Jeff Glor, said that he told Russian President Vladimir Putin Monday that he was “very strong” on the fact that “we can't have meddling” in our elections, despite failing to confront him on the issue during their joint press conference. QuoteI let him know we can't have this, we're not going to have it, and that's the way it's going to be. Why it matters: There's no way to verify Trump's account of what he said, since he met with Putin in private. But here's what Trump said in public about Russian election interference: "I have great confidence in my intelligence people but I will tell you that President Putin was extremely strong and powerful in his denial today." 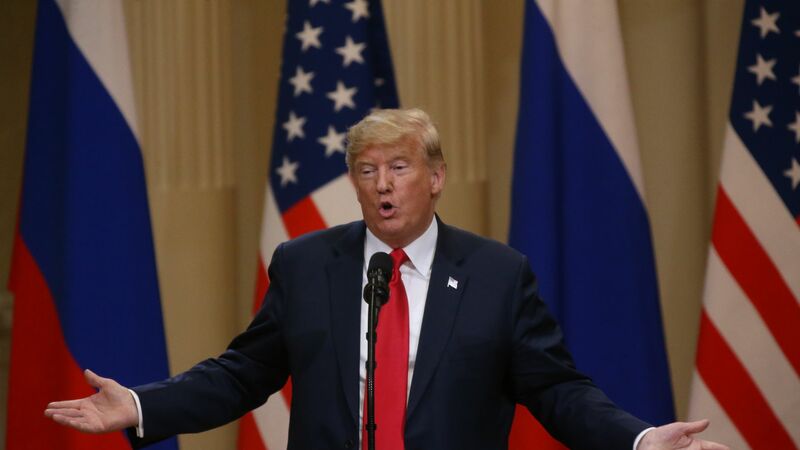 Some lawmakers have called for the translators in the Putin-Trump one-on-one to testify before Congress, but whether that testimony takes place would be up to the State Department. What Trump told CBS about Putin's role: "He's in charge of the country. Just like I consider myself to be responsible for things that happen in this country. So certainly as the leader of a country you would have to hold him responsible, yes."